An exquisite single vintage Rhum Agricole from Rhum J.M. Based in Martinique, the distillery is found on the Mount Pelée volcano, the fertile soil and steep slopes of which ensure the ideal spot for cultivation of sugar cane. 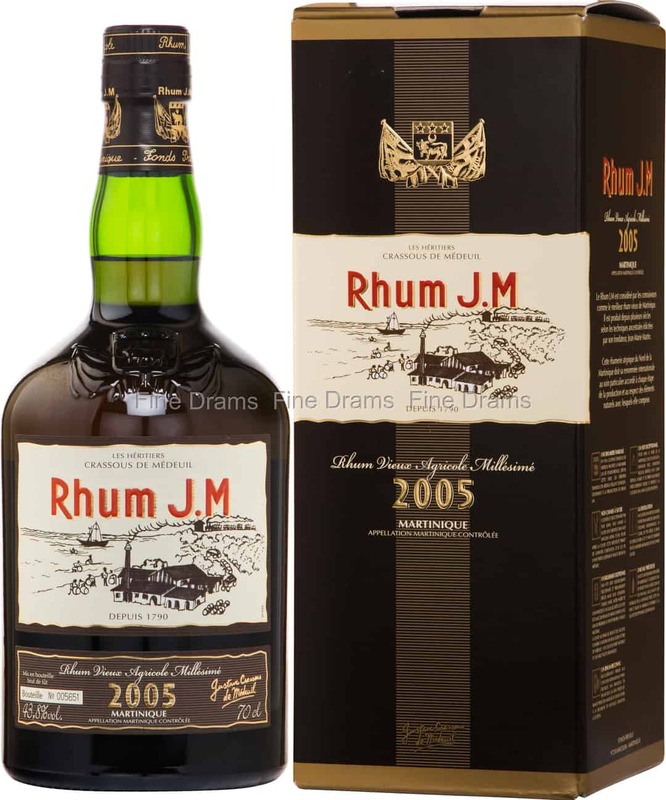 Rhum J.M uses only the fermented juice of pressed canes grown and harvested on their estate. The spirit is distilled in column stills and aged in charred oak casks. This rum opens with flavours of ginger bread and toasted nuts, alongside rich brown sugar, orange peel, vanilla, honey, grapes, milky coffee and old oak. Bottled at 44.3% ABV for a little extra mouthfeel and intensity, the rum is presented without any artificial colouration.